In the realm of translation, the quality of the “finished product” is diminished when the translation process mistakenly dilutes the writer’s ideas with those of the translator’s. This can be done inadvertently by translating verbatim, incorporating inappropriate style, or using the wrong words. Organic translation, on the other hand, upholds the thought of the original writer, dignifies his style, and even observes the syntax the writer used. In translating one language to another, for instance, the translator puts himself or herself in the “shoes” of the original writer. Foremost, the organic translator keenly understands the character of the writer, his personality and his mood. He gains insight into the prevailing socio-cultural setting at the time the piece was written, the intended audience, the distinct constitution of writer’s composition, and the type of language he employed. Interviews with contemporaries, if possible, definitely helps. Of course, etymological application is never neglected. 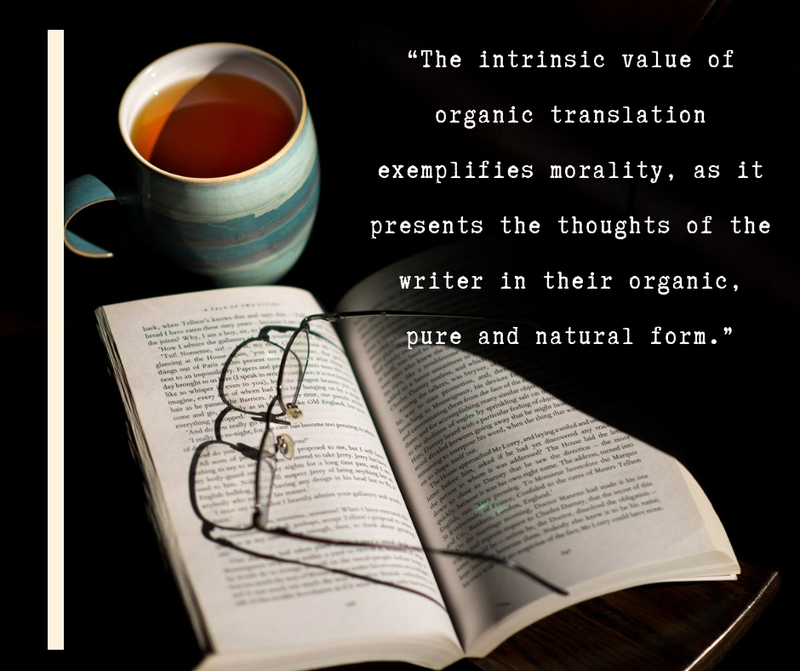 Against the backdrop of ever-changing springboards for the translation business, the intrinsic value of organic translation presents the thoughts of the writer in their “organic,” pure and natural form.